Robert Wagner's slow (certainly not overnight) entrance into the movies was probably the best way to get into show business. With no formal training, but a huge desire to be in movies, Wagner used cunning in a good way. He tried to be in the right places at the right time, tried to be "noticed", and coincidentally found himself among the right people. He caddied for Clark Gable! How fortuitous. It wasn't Gable who got him into films however. 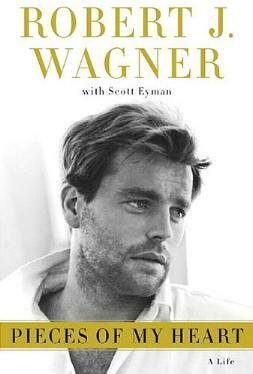 Robert Wagner's story is an interesting one, and he relates his difficult childhood with his father and how they moved from Michigan to Los Angeles. L.A. at that time wasn't a fraction of the metropolis it is today, and the chances of running across movie stars and/or moguls were high. His looks no doubt attracted many a female star, and some with whom he had a fling or a tryst or a one-night-stand include Joan Crawford, Yvonne De Carlo, Barbara Stanwyck (a four-year relationship), Anita Ekberg, and Tina Sinatra among others — a little tacky in my book — kiss and tell is not gentlemanly. His illustrious career is spelled out in detail and is a reminder of the varied volume of work he's accomplished over the decades. Naturally he gives the story of his great love, Natalie Wood, much of which was incorrectly hyped in the press at the time. A poignant yet sad love story. I loved his sincerity about his true friends — quite moving. Particularly useful to performers is Wagner's take (and sound advice) on learning one's craft and being respectful of the work and of others. He definitely doesn't appear to be one who believes he's "entitled". Thank goodness. Conclusion - Exceptionally interesting and informative, especially about early Hollywood. A very nice read.